It has been two months since my last post and as some of you know, my wife was diagnosed with lung cancer a year ago and while things were going quite well and she was in remission, she had a major setback in January and, without going into detail, it is now terminal. While she is not in any pain and is still remaining positive and we are doing as much as we can, she tires very easily and we are limited to short trips out, visiting friends and relations, our favourite restaurants or theatre visits. I am therefore now spending most of my time sitting with her while she sleeps, apart that is from shopping, washing, ironing, cooking and washing up :-) ! I haven't picked up my camera since we spent 3 nights in York over the New Year, which proved to be our last holiday together and I have posted three of my images from there below. I now feel that I need to get back to my blogging and while I do not expect to post as regularly as I did in the past, I will at least try and resume my FEATURED ARTIST weekly posts and my A - Z of Britain. But first, as promised above, three images from York. 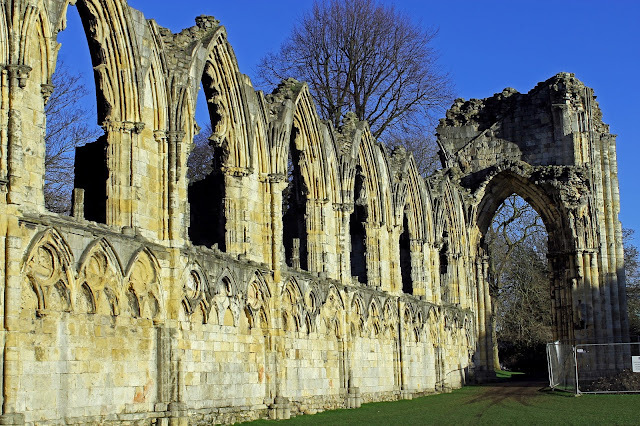 The ruined walls of St Mary's Abbey in York, England. 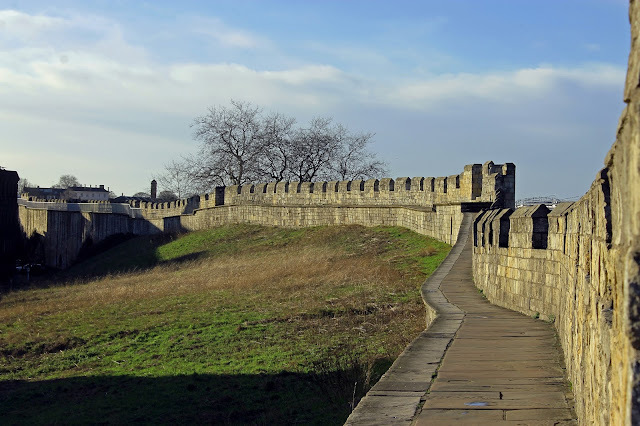 Looking along the York City Walls, York, England. 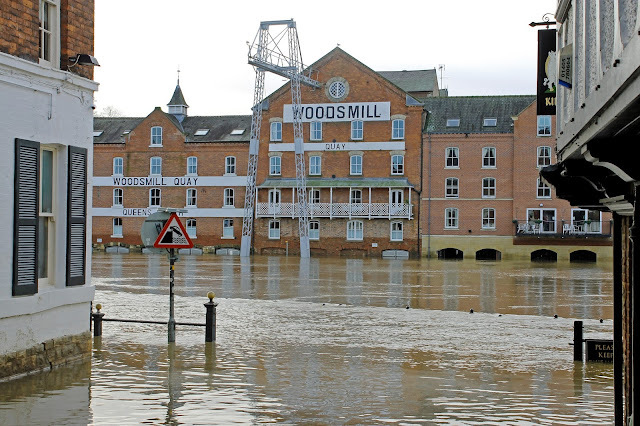 Looking across the flooded River Ouse towards Woodsmill Quay. Taken from the bottom of King Street, York. The flood water has subsided since the height of the flood a couple of days earlier.